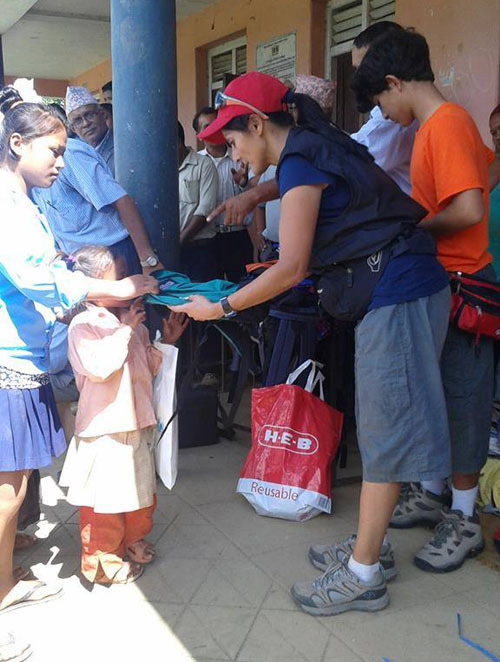 Today we directly impacted over 500 children in the remote village of Dhading! 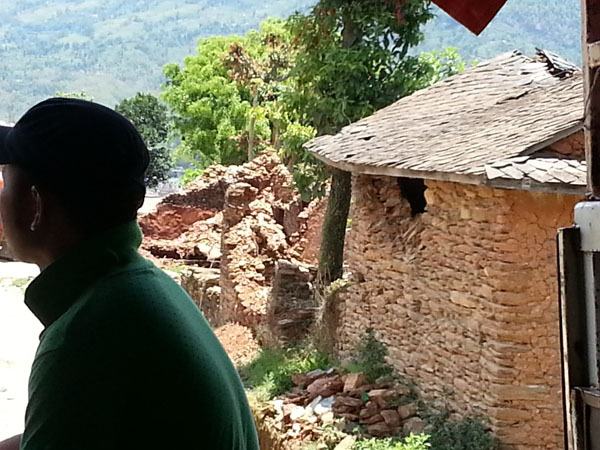 – ArunasNepalRelief, Inc.
Today we directly impacted over 500 children in the remote village of Dhading! Thank you US donors, you made this possible by putting a smile on these village children whose homes are devastated including a school. Without your help this would not have been possible! ArunasNepalRelief, Inc. 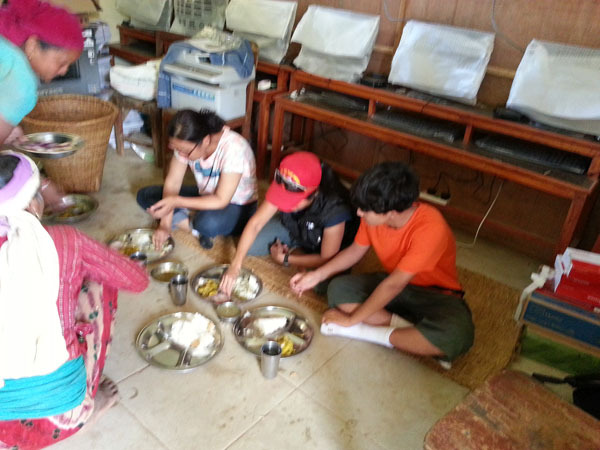 Relief mission goal #1 – accomplished successfully! Our first relief goal was to help the 600 students (we were told initially and the count went down to 530 and bought school supplies for 530 students plus distributing the rain ponchos and space blankets the children of Murchison Middle school raised, Austin, TX) in the Shree Sami Bhanjyang Higher Secondary School, Ukhubari, Maidi, Dhading, Wada #1, Nepal. 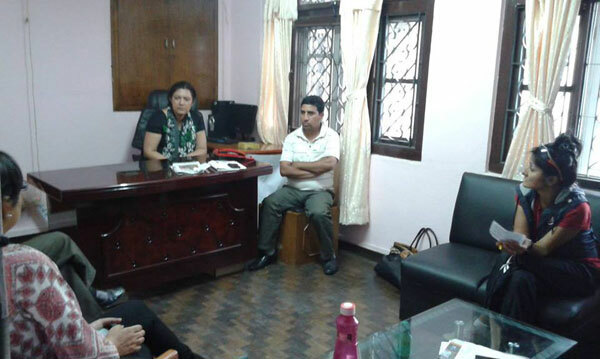 According to the head master of the school Gautam Adhikari and Sitaram Bhatteri of HLF. The total count ended up being around 400 so we still have more school supplies and I brought them home. Some are missing but I will distribute what we have this week personal to another school that is devastated. The village was totally devastated by the earthquake, the school children all lost their homes or not livable conditions and one of the school was demolished. Gautam ji only asked for backpacks, school supplies and hygiene supplies, I felt he was genuinely looking out for the children. Below you see on the video, my son Nikhil and my friend Reetu showing the village school children how to put the straps together and carry a backpack. Simple right? For them, this is a big deal and the grateful smiles are as genuine as can get! They would carry books on their heads or under arm and with monsoon starting and their homes destroyed and one school completely gone, this is a small blessing in disguise that you all in the US have made possible. Thank you US donors. 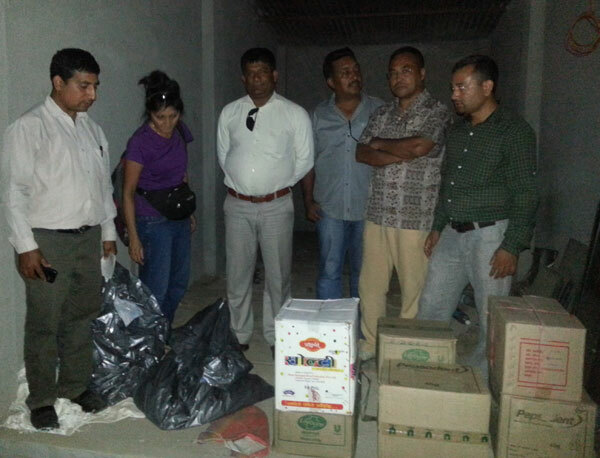 What was purchased and brought from US and provided by ArunasNepalRelief, Inc. Thank you all US donors, your funds and donations of supply is what made this possible! Thank you Reetu and team for organizing and helping! 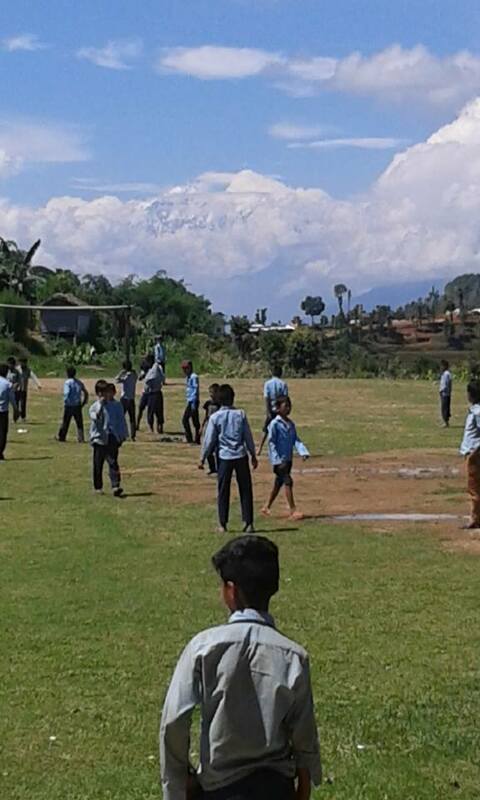 ArunasNepalRelief, Inc. in Dhading June 19th, 2015 – destination Maidi village school! Woken up at 4:00am my friend Reetu, my alarm clock. Packed and ready to go son and I head out to meet the rest of the Reetu’s crew at our meeting place at Sitaram ji’s hostel. From there we got on the big giant bus that could fit 30 people, they had organized and left Kathmandu with the volunteers from HLF. 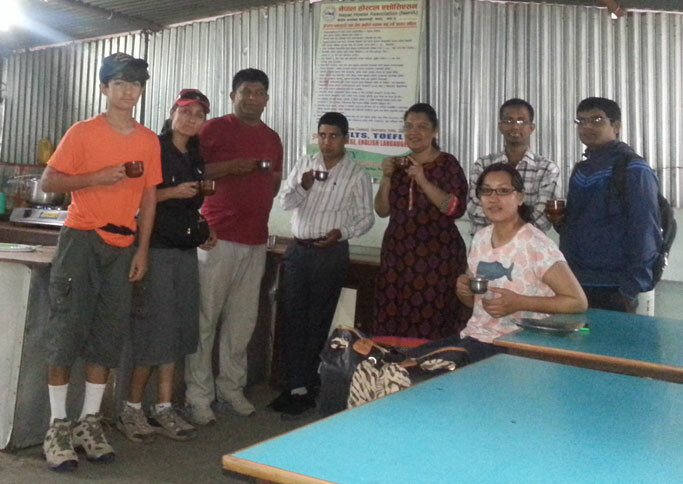 Total relief workers/volunteers: Reetu, Aruna, Nikhil, Ayasna, Mukesh, Safier, Sitaram, Rishi, Gautam. Thanks to each and everyone for helping! We were told it takes a few hrs. but it took us nearly 6 hours to reach our destination. The roads were rough and bumpy and a lot of times it was steep and you could see the edge of the cliff that could send you down hundreds of feet. 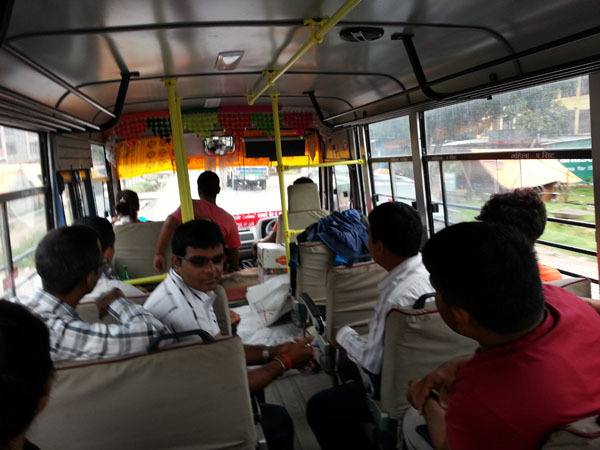 But the driver kept us safe, thanks to Reetu and Sitaram ji for arranging the bus driver. There was a lot of stop and go from Dhading on to Ukhubari, Maidi after Nikhil, Ayasna and myself got on the other open truck as the bus could not take us further due to the rough terrain. 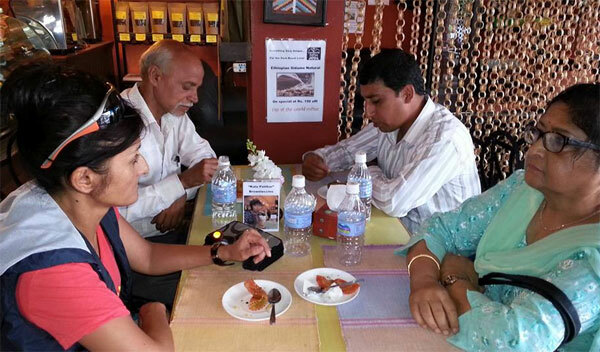 Reetu S Baral my friend and contact, chairman of Healthy Life Foundation was my main contact starting from the US. We went to the same high school and our parents have known each other. She is whom I relied on. Sittaram Bhattarai , the general secretary was in charge and responsible for 100% or organizing contact in village, handing me billing of supplies we bought in Kathmandu, taking me to the local stores to purchase supplies, organizing all transportation, creating a list of supplies necessary for the school and editing billing and items list as needed as many times. He had contacts in Kathmandu and in the village, everywhere we went. Thank you to ArunasNepalRelief, Inc. US donors, we paid for everything directly 100% necessary for the relief work and nothing more. They took us there and back safely and they organized the distribution at the school, I am very grateful! I went with Sitaram ji to every local store and bought supplies for school and this is where we stored supplies. These are some of his local contacts. My mom and taxi driver we rented stayed in the taxi. Mom and taxi driver saw some people steal some items from the bags we had counted. Mom called me immediately while I was shopping and I made sure they got to the bottom of it and they had the people bring the items back. Wasn’t much but some school kids would have been left out since we did a head count. All was a good ending. Element of surprise – My Paid Private transportation goes public! I am told this is normal so I keep my mouth shut! At one point, Dr. Ayeshna, myself and Nikhil had decided to take the adventurous ride so we hopped on the open truck. We thought maybe one of the HLF crew would ride with us but we ended up with all the supplies and just the 3 of us, which was fine as the jeep full of rest of volunteers were in front of us. 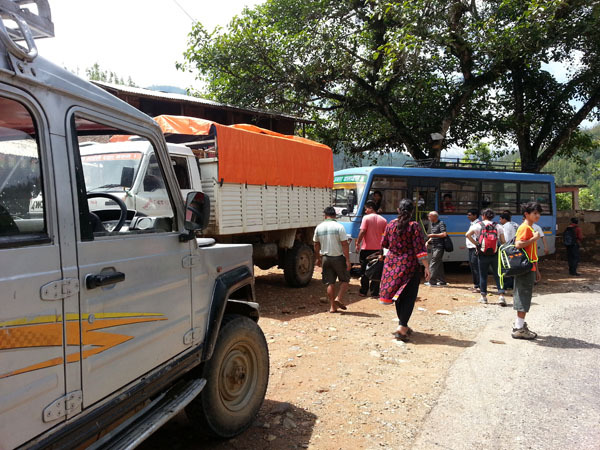 There was a lot of stop and go and at Dhading we stopped for 45 min due to unknown reasons. Then there were strangers putting supplies in our truck and then strangers climbed into the truck. 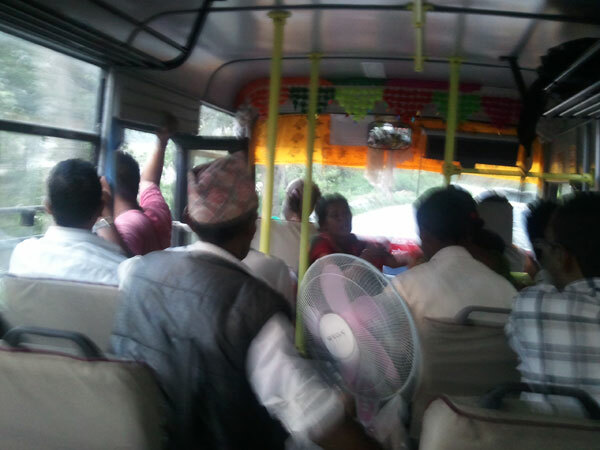 The 3 of us looked at each other and did not know what was going on, feeling a bit unsafe that supplies and people were hopping into a privately paid transportation by ArunasNepalRelief, Inc. US donors. 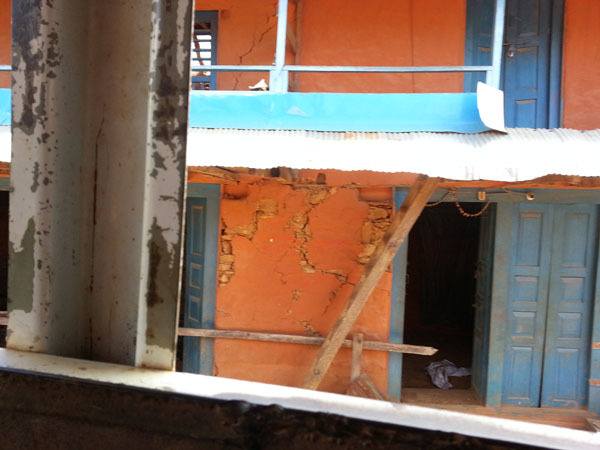 Maybe this is how things go in Nepal, maybe this is normal, so we let it go and started conversing with the strangers. Luckily these folks were very honest village people that were headed the same way and it all turned out fine as they kept us entertained. On the way there and back people were allowed to climb into our private transportation the whole time and they were charged a fee. I was told this is normal and this is how it goes so I kept quite. It is what it is, live and learn! Strangers and unknown supplies entered our private transportation. Element of surprise! Thankfully they were the nicest villagers. Would be nice to know this was allowed but you have to be prepared for anything when you don’t know all your volunteers well. Local people were picked up on the road there are back. They paid were charged a fee although I had paid for the transportation and thought it was private. When sleep calls even the most bumpy ride does not deter! Son and I get a snooze. This kid is one tough cookie. He may have thought he’d seen it all but he just had the experience of a lifetime. 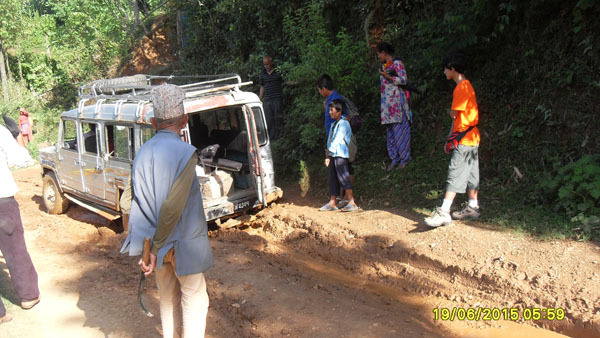 From the most beautiful Nepal country and hill side scenes, to road blockades, to strangers jumping into a private vehicle, strange supplies being thrown in, to living on the edge “literally” driving the windy hillside roads that took a steep dive into the rivers and forests. The most genuine village folks who entertained us even though they were unexpected guests in our vehicle, chickens and cows and dogs in the middle of the road, country side authentic Nepali meals, stop and go, jeep stuck in the mud and then the most beautiful thing of all, the distribution of supplies to the smiling and excited children of Maidi school. He fit right in and was mesmerized by the view at times and shocked at the devastation and could not stop staring out the window and taking photos. After a very long and bumpy ride, amazingly breathtaking all the way, at times scary and at times entertaining, we got to the village. The children had already heard we were coming and they started running towards us, excited and smiling and some climbed on our slow moving truck. We made sure these were the kids that we were distributing to. They were just so sweet and genuinely happy! A warm, hospitable welcome by the Nepali village folks of Dhading. Authentic Nepali food. Thank you! A pattern we saw on June 19th along the road everywhere homes demolished or unlivable. Very sad! The best part: Handing school supplies bought in Kathmandu and rain ponchos and space blankets, personally and directly to the children and seeing them smile! Thank you donors, you made this possible. Thank you Reetu and team for organizing! 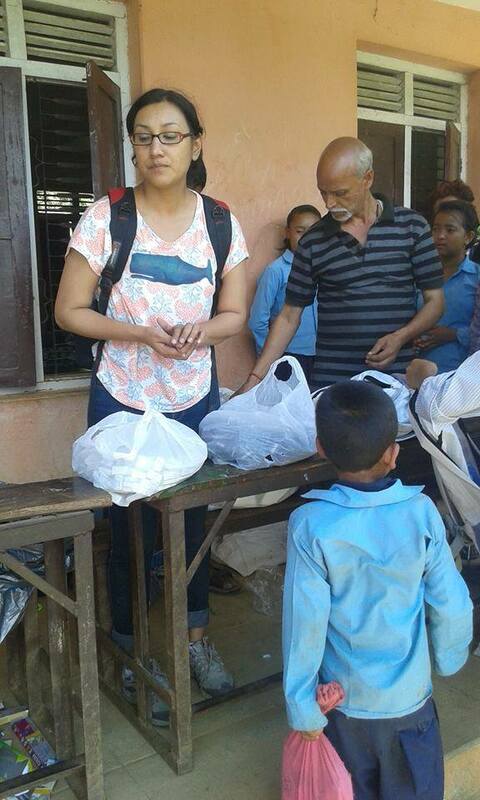 Handing supplies personally to the most grateful and happy village kids off Maidi, Dhading! Earthquake you got nothing on us, we will strike back is the look on these kids, so resilient! RESPECT! Dr. Ayeshna, a truly genuine soul, bahini I met who came to volunteer with 100% sincerity truly for just the cause. Gautam ji in the background is the head master of the school, who asked for not much but just the backpack and the supplies for the students. We got a glimpse of the mountains just for a few minutes and then it disappeared into the clouds. The most beautiful places in Nepal where the most simple minded, kind, honest, hospitable Nepali people try to carry on with their daily lives as best as they can and as best as they know how! Jeep gets stuck in muddy road after heavy rain falls. The driver and volunteers get us out within 20 min. The next phase for the poor Nepali people who have endured two earthquakes and continued aftershocks- Here comes the Monsoon season with torrential rains. 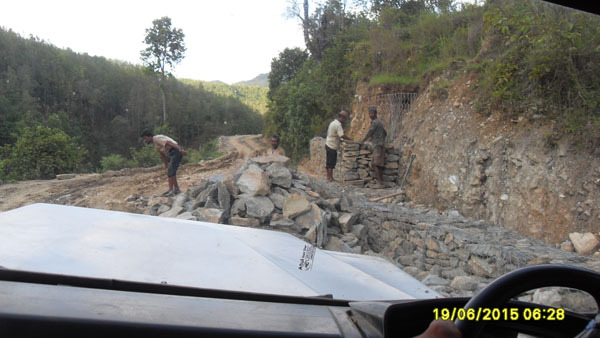 But they are prepping the roads hands on to avoid landslides that have already taken lives! Today June 23rd we help directly at school destroyed by earthquake !